Last week I shared a pic on the Live Simply Natural Instagram page asking about your favorite way to eat beets! I was surprising by the response and all the creative ideas out there. So I thought to try this one as it was requested by a friend of mine. 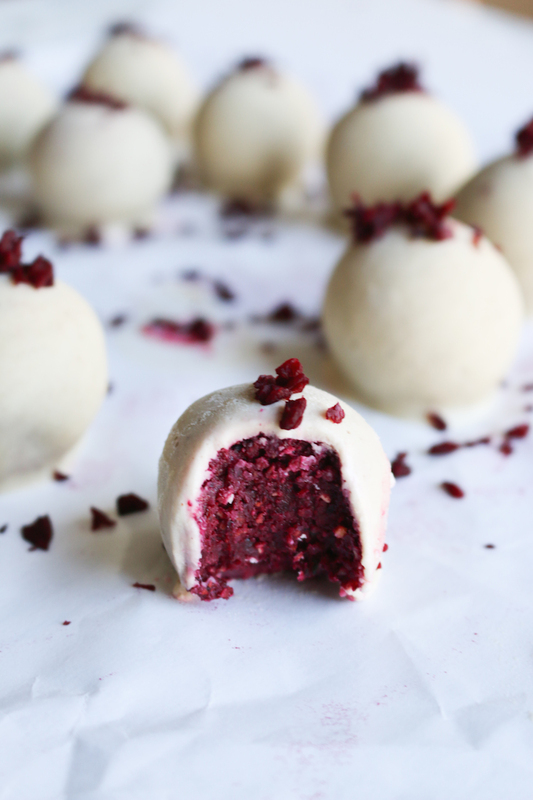 Raw Vegan Red Velvet Beet Bites, filled with the all natural red color of beets and a ton of other good-for-you ingredients. 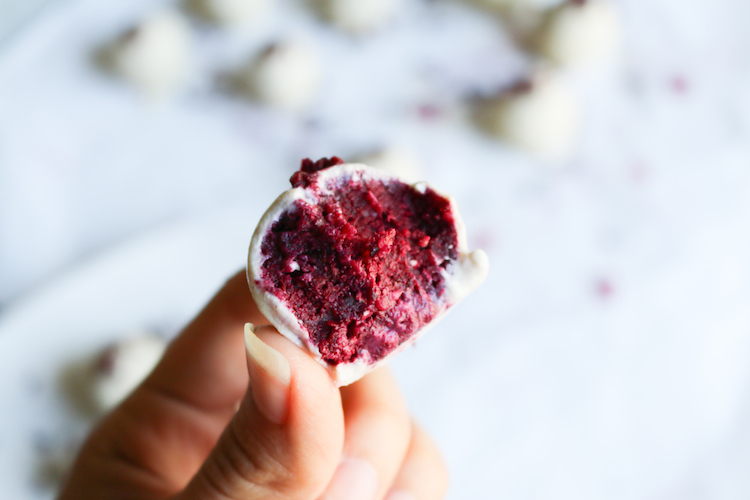 Not only does this beet bite taste amazing but the presentation of this cookie is incredibly beautiful with the contrast of maroon from the beets and white from the cashew cream coating and sprinkle a bit of beet on top… Perfection! 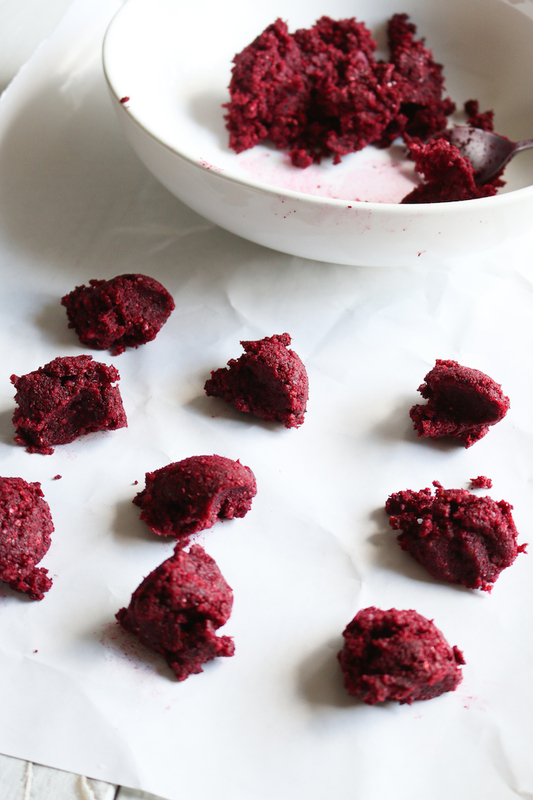 What I love most about this recipe is you still feel amazing and energetic after indulging in these red velvet beet bites, it’s all about the quality and combination of ingredients. I highly recommend making these to share at your next girls night or with your friends and loves over a big mug of hot tea or vanilla almond milk. 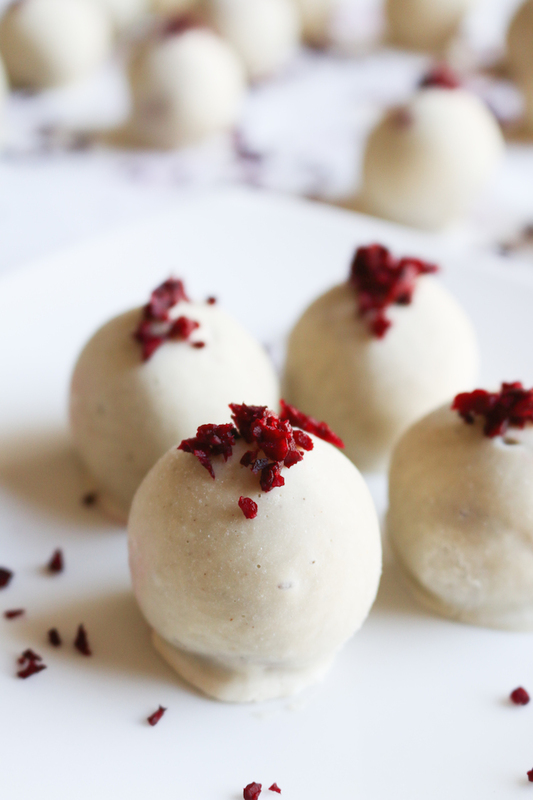 I know I’m not the only one to try out this recipe, nor am I the only one to incorporating vegetables into desserts, but I won’t be stopping anytime soon. Vegetables are far too underused and it’s my mission to share how you can creatively add them to any type of food. 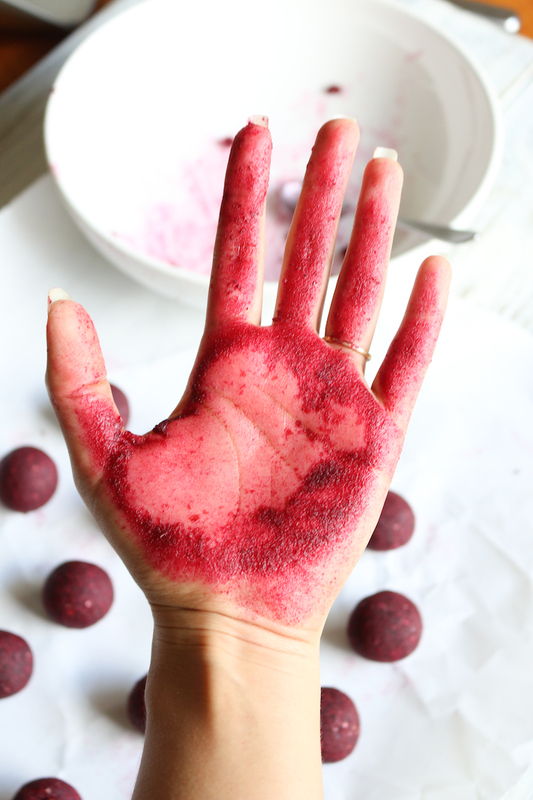 Beets are loaded with folate, manganese, potassium, vitamin C, magnesium, copper, iron, and antioxidants that are especially important for helping your body carry out it’s natural detoxification functions, mainly the liver with their betalin pigments. I hope you all find these fun to make and of course fun to eat! Add almonds, oats, chia seeds, raw cacao, salt and vanilla, pulse until combined into a fine flour. Then add Medjool dates and pulse until dough is formed. Be careful not to mix for too long as you don’t want the ‘dough’ ending up too compact but still have a fully incorporated blend of ingredients. 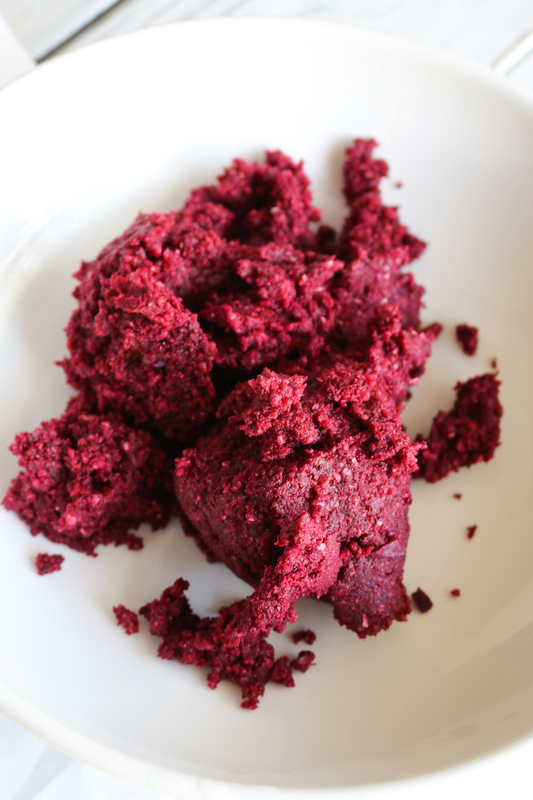 Scoop out raw red velvet dough and roll into 2 inch bites, place in the freezer for 10 minutes. To make your cashew cream frosting add coconut oil, cacao butter, cashew butter and maple syrup to a small pot. Mix until melted and fully combined. 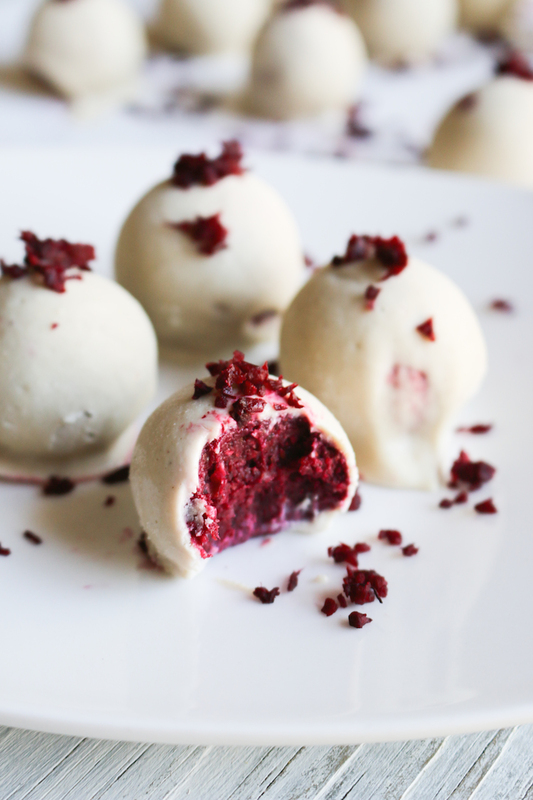 Take out raw red velvet energy bites and dip them into cashew cream frosting mixture. Place them in the freezer for 10 minutes to set. 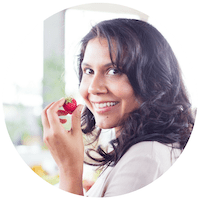 Store them in the fridge for up to 7 days or in the freezer for up to one month.